Running a hotel business? Want to create a website for your hotel that not only flaunts your hotel features but also allows online booking? So, this article is a collection of some of the best booking WordPress themes 2018. They are well designed, feature rich and extremely flexible. The themes allow you to create a full-fledged booking website for your hotel rooms, restaurant tables, etc. 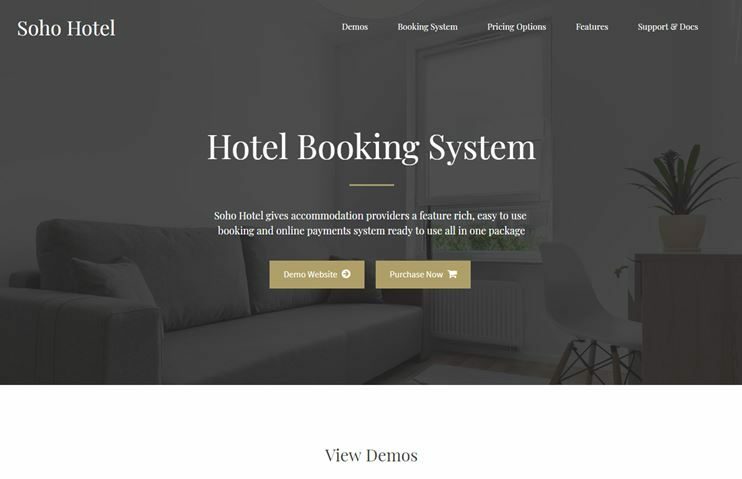 In this article, you will find best hotel reservation system WordPress themes with inbuilt features to allow reservations and booking. With all the easy configuration methods, you can create a website of your wish. This list contains the collection of hand picked and user approved themes for your hotel booking websites. 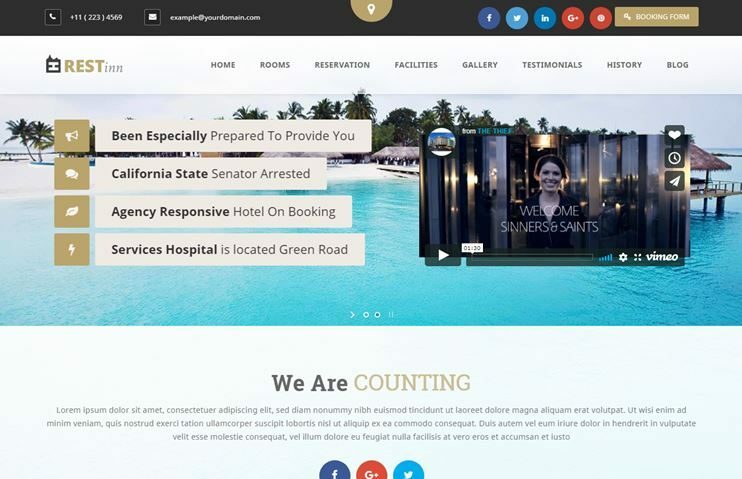 The themes in this list range from simple hotel website theme that offer booking facilities to powerful and feature-packed hotel industry themes for a comprehensive website. 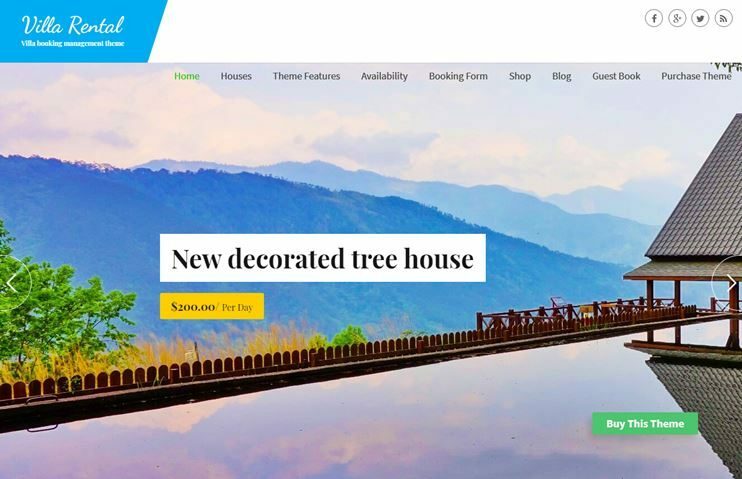 Chateau is an attractive WordPress Booking theme which is best for Hotels, Villas, resorts, Rental Houses or any kind of Hotel Industry sites. 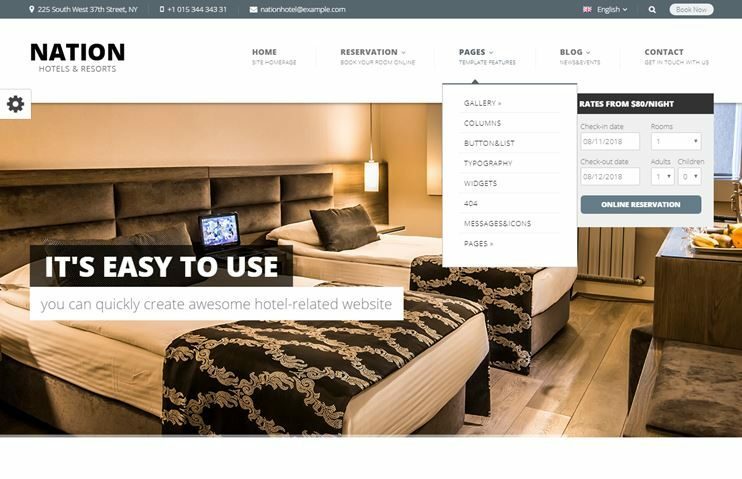 Create your online hotel booking website using this theme in 2018. Restin is designed for creating a onepage and multipage hotel booking websites. 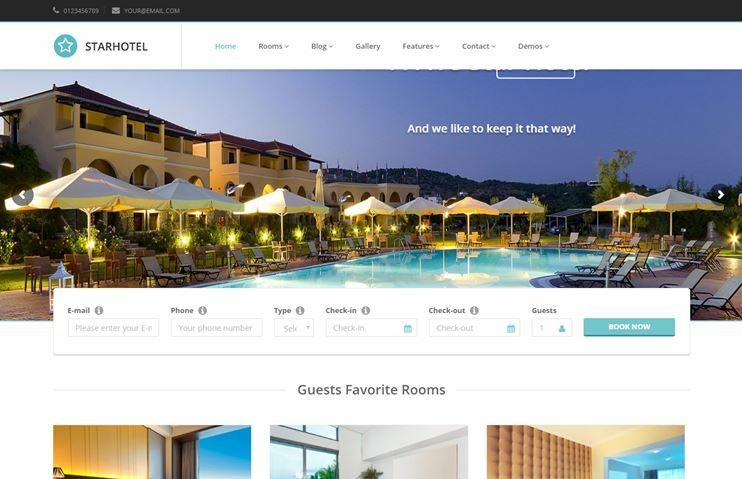 With this theme you can create a website for a single or a multi-branch hotel. You have number of demo options to choose from. The theme has inbuilt options for booking and reservations. It comes with an inbuilt form builder to create forms. You also have the feature to highlight the room offers. The theme also comes with the Visual Composer drag and drop page builder. The header slider can be occupied with video. To display the pictures, you can use the gallery options. There are abundant customization option available at the theme's backend. You also have amazing shortcodes with this theme. So, you can personalize the website as per your desire. 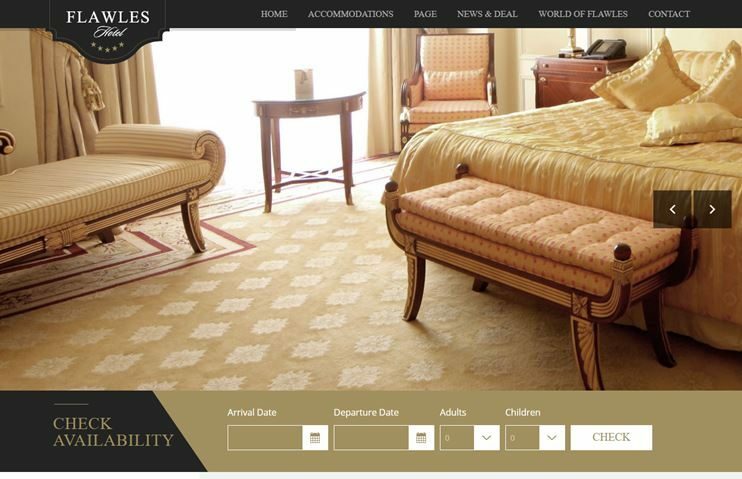 Bellevue Hotel is an elegant and feature rich theme for creating a hotel and booking website. With this theme you can create a full fledged hotel and ecommerce website. You can choose from the 7 demos of the theme. It comes with a premium version of WP booking system plugin. So, you can allow your visitors to check availability of the rooms and also make bookings. They can pay online for their bookings. This theme is also compatible with WooCommerce. So, if you wish to sell your products online you can easily do so. With this theme you get a collection of useful shortcodes. It supports beautiful parallax background support. The theme also includes conversion forms and easy to use page builder. The elements have CSS3 animations. This theme also comes with child theme included. The flexible admin panel of the theme allows you to customize the theme very easily. Hotel Leisure is perfect for any kind of hotel booking website. 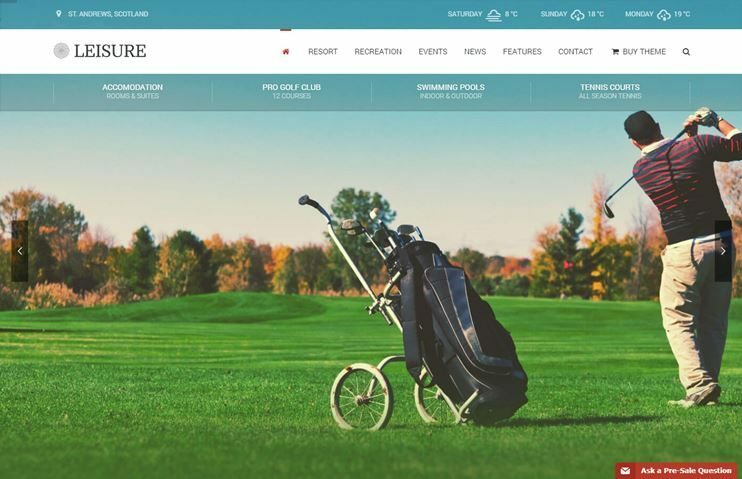 With this theme you can create a website for hotels, spas, resorts, clubs or any kind of leisure. Leisure comes with easy options to let you create website without ever touching the code. There are two demos for Leisure and you can go for the one you like. Leisure is optimized for speed. To show the weather of the location, you can integrate the simple weather plugin. It supports parallax and video background sections. The theme allows you to create pages with the Visual composer drag and drop page builder. You can allow booking and reservations with a modal form. With the WP Customizer, you can customizations the website as per your preferences. It is SEO optimized. Hotels responsive is a multipurpose and best booking and reservation wordpress theme. With simple options and flexible features, you can use the theme to create a website of your choice. With the theme customizer, you can totally customize your theme. With the custom widgets and shortcodes, you can build the content of your website. It also allows to take backup. The backend of the theme is full of easy options for editing the theme. The theme also has options for portfolio. It also has options to display image galleries. The theme is SEO optimized. 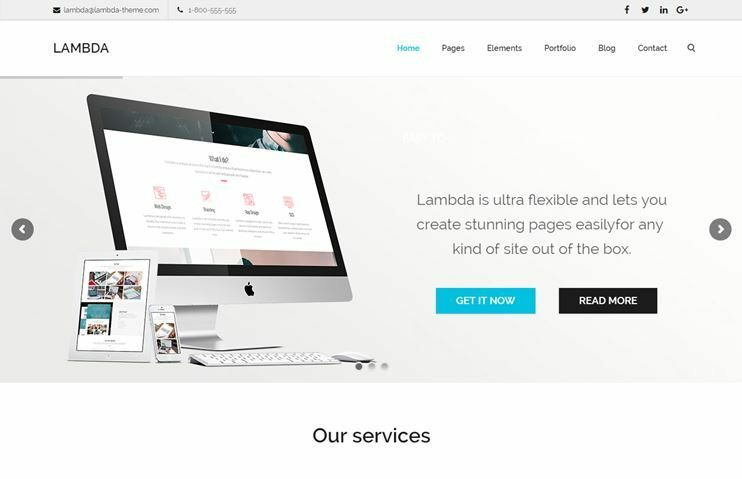 Lambda is a simple and smart multipurpose WordPress theme. However, with the flexible options and unlimited customization options the theme comes with, you can create an entertainment based website with it. The theme comes with 35+ demos to choose from. Create unlimited pages with the Visual composer page builder. There is also a live customizer, that shows you real time preview of the changes you make. Lambda has custom post types for displaying your staff, testimonials and services. You can use the Isotope galleries to display your images in your website. You can create forms for your website using the gravity forms plugin. The code of theme is clean and can be easily extended or updated. 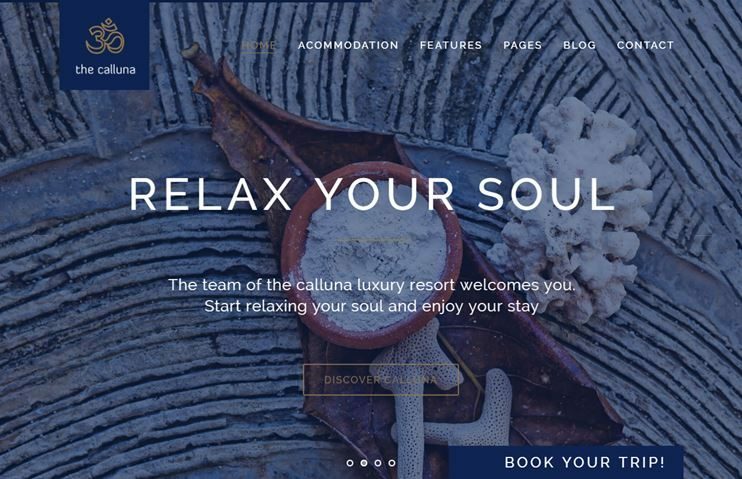 Hotel Calluna is one of the modern and best booking wordpress themes. It can be used to create a website for a hotel, resort, hostel, motel, or any related topic. The theme comes with integrated booking and reservation features. This theme has a clean and modern design. The booking facility in the theme will be rendered by AWE Booking plugin. Along with booking, it will also take care of room management. To create pages of your choice, you can use the Visual composer plugin. This theme has special post types for adding events and special offers. The theme allows you to choose the payment gateways. With the WooCommerce compatibility, you can sell products on your hotel booking website. The theme also lets you manage special seasonal sales. With Hotel Calluna you get unlimited customization options. You can customize it to fit your branding. Create forms on your website using the contact form 7 plugin. Hillter is a hotel booking WordPress theme. It comes with a room reservation system and booking management facilities. The theme can be used for hotels, resorts, vacation rentals, villas, etc. This theme also works on the base of AWE booking plugin. With a booking form on the homepage itself, the theme increases the chances for conversions. Create pages with the drag and drop page builder Visual composer. The theme also allows you to set price for specific dates. It has the facility to display images as well as video galleries to let your visitors have a glimpse of the hotel. If you wish to sell online or integrate any kind of ecommerce features in the theme, you can use the WooCommerce plugin. Create forms with the contact form 7 plugin. With the advanced theme options, customizing the theme becomes very easy. 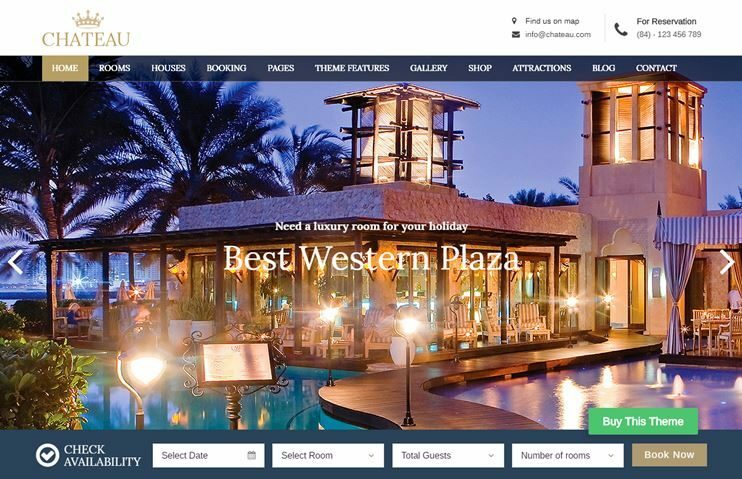 Hotel Master is one of the best booking wordpress themes. As the name suggests, it is designed specifically for hotels. You can use it to create an online booking and reservation system. There are 2 demos for the theme. A dark as well as light version. Hotel Master has the feature to let you add and manage the services very easily. With the Hotel Master theme, you can manage the reservation and booking in amazing ways. There are so many options to manage the pricing of the rooms. Hotel Master supports the GoodLayers page builder to build pages with drag and drop options. For the front end users, the theme has a brilliant search system to let them search the rooms. The theme also has a post type of Coupons to let you create coupon codes. The theme also allows to create seasonal pricing for hotel booking. Hotel Master is SEO optimized. 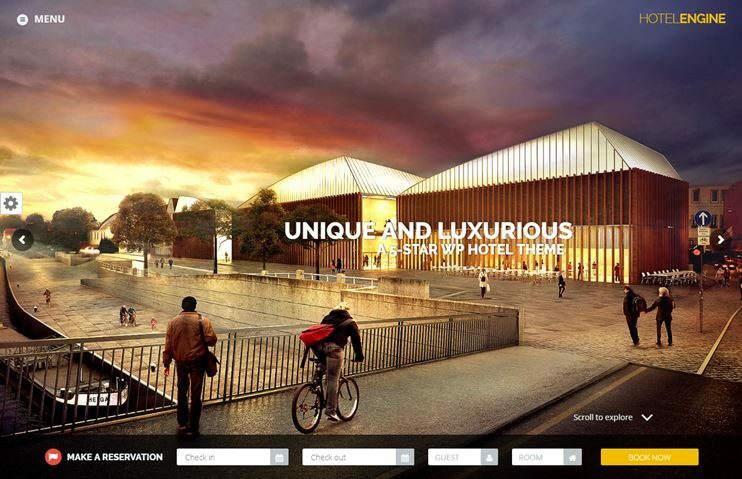 Starhotel is a stylish and modern theme for creating a reservation or hotel booking website. The theme comes with multiple customization options and high flexibility. It includes features to let you create a website hassle lessly. Starhotel has a responsive and full functional reservation form. The Redux framework theme's options panel is full of convenient options to customize the theme and make it look the way you want. The theme package includes Visual Composer page builder to create pages with drag and drop options. The theme is beautified by the parallax sections. Create the forms in your website using the contact form 7 plugin. FlawlesHotel is an online hotel booking and reservation theme. It has a simple structure and is very easy to use. The theme is designed with the needs of hospitality industry and therefore is perfect for hotels, resorts or any such website. 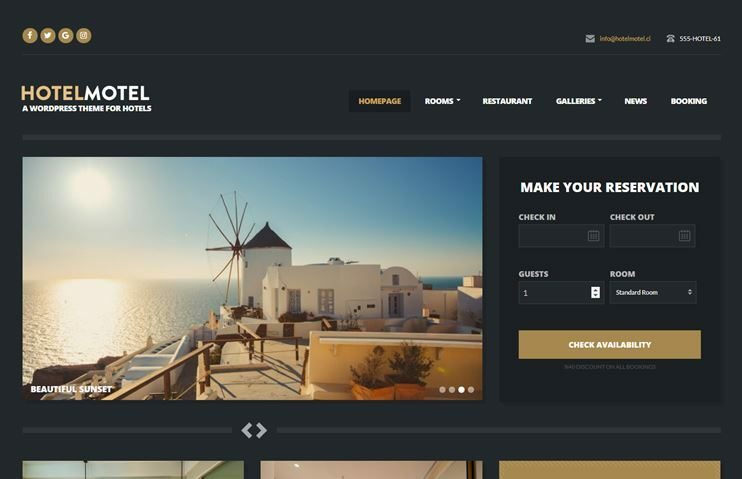 FlawlesHotel comes with WooCommerce integrated for the booking facility in the theme. It comes with accomodation display pages that describes the rooms and services of the hotel. The facilities and the room features can be easily managed and displayed. Theres the feature through which you can display the testimonials of your guests. The theme offers you multiple shortcodes to use in your website for styling the content. Utmost care is taken for the admin panel security. FlawlesHotel is SEO optimized. Mykonos is a hotel and resort theme. It has inbuilt booking and reservation facility. The theme has a beautiful and unique design to create your website. The theme comes with drag and drop homepage redesigning feature. The theme has powerful options to change the theme settings. You can try endless combinations for your website and decide how you actually want your theme to look. You can display your images and videos using the gallery feature. The sliders in the theme is slide and touch optimized. Mykonos come with 7 custom post types. It is SEO optimized. It also allows a child theme. Soho hotel is an amazing and beautiful theme for your website in 2018. It is one of the best booking wordpress themes. It can be used for creating a website for hotel, resort, motel or any such service. The theme comes with a fully functional appointment booking system. The theme allows you 4 steps simple appointment booking system. It also includes an availability checker. The theme can be used to display the seasonal pricings too. You can also block the dates for maintenance or any other closing period. The theme also comes with custom messaging and email facilities. The theme also allows the guest occupancy limit. With the admin options, you can customize the theme and make it look and work exactly the way you want. The theme also includes the feature to display events and testimonials. Anchor Inn is an easy to use and feature rich theme for creating a hotel booking website. This theme is extremely flexible and lets you create a website very easily. The theme comes with some pre designed color schemes to change the theme's color. The theme comes with beautiful designs. It has a inbuilt facility to make online reservation. The theme can be used to create a full fledged hotel booking website. The theme allows creating website very easily. It has the easy to use admin panel to let you customize your website as per your requirements. 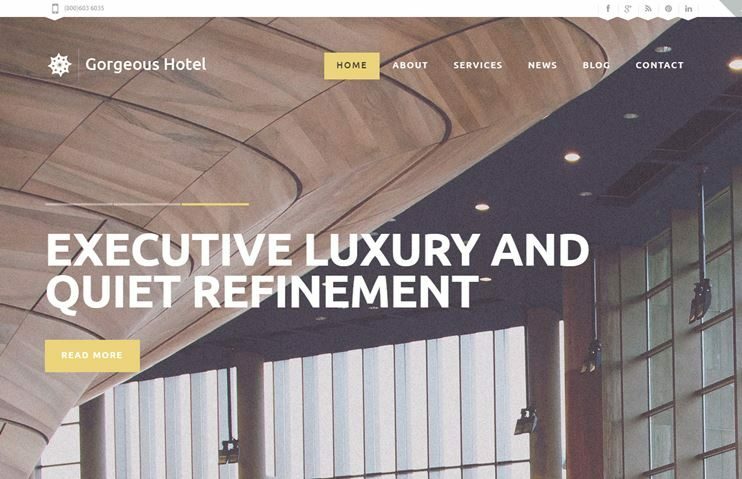 HotelEngine Classy is a WordPress hotel theme. This theme can be used to create a booking website for any kind of hospitality business. The theme has a simplistic as well as beautiful design. The theme comes with a hero full screen image slider. Showcase your rooms and venues with the gallery options. HotelEngine classy comes with an inbuilt booking form. It has a functional booking system. With the theme customizer, you can customize the website as per your requirements. With the Engine Settings you can make the general, branding and other setting very easily. The theme is SEO optimized. Avada, basically is a multipurpose theme. The theme has multiple demos and one of them is hotel & resort. With this demo version, you can create a full fledged hotel website in minutes. 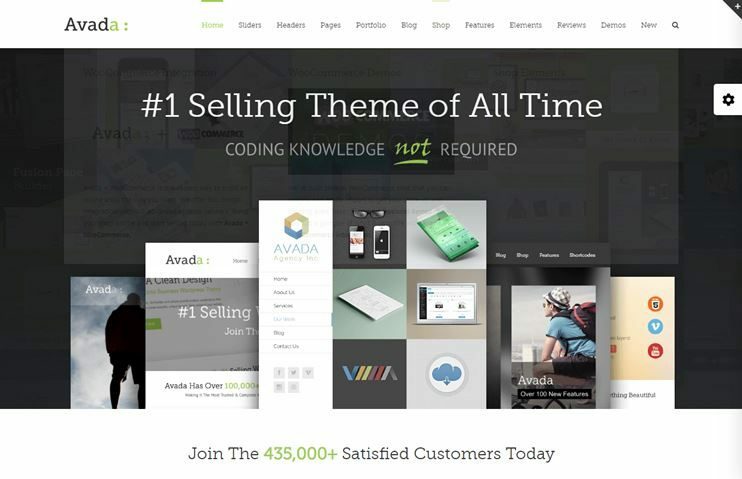 The features and flexibility of Avada theme will enable you to create anything with it. Create a hotel website with a design and features of your choice. With the Fusion builder page building options, you can create pages with drag and drop options. Being compatible with the WooCommerce plugin, the theme allows you to integrate ecommerce features. You can also include events in the theme using Events Calendar plugin. The theme also takes care of the SEO. It is fully optimized for speed too. The theme is also RTL ready. 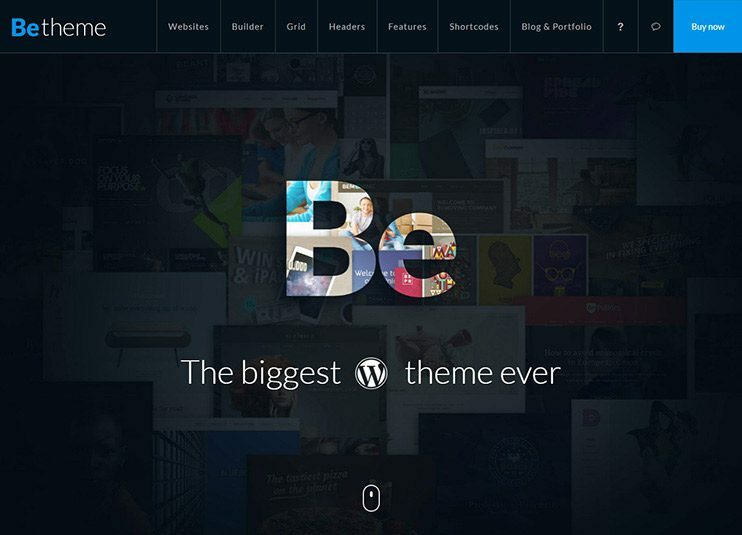 BeTheme is an amazing multipurpose theme. It comes with several pre designed demos. There are 2 versions of hotel demo available. The theme has extremely rich features. Be is very flexible and has innumerable customization options. 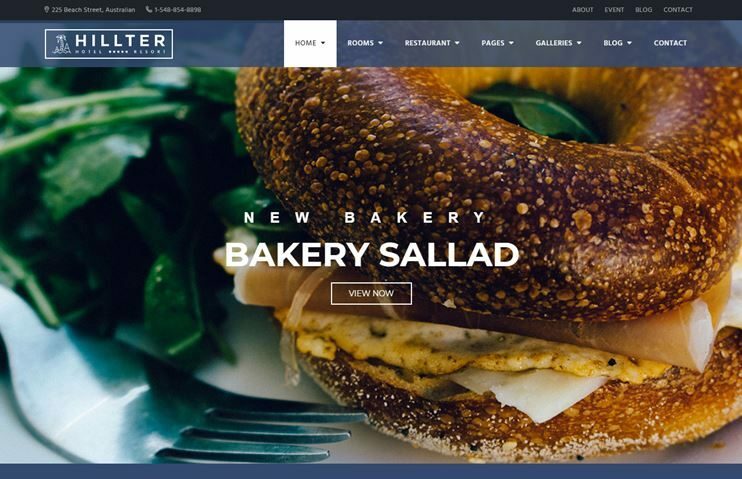 Create page layouts with the Muffin builder tool. Or, you can opt for the Visual composer instead. You can choose from the 20 different header designs. The theme has an powerful admin panel to let you control your website's look and behaviour. It also provides you more than 200 shortcodes to style your content. With the WooCommerce plugin, the theme is ready with ecommerce features too. The theme supports beautiful parallax and video background. The theme is SEO optimized. Be is performance optimized and RTL ready. 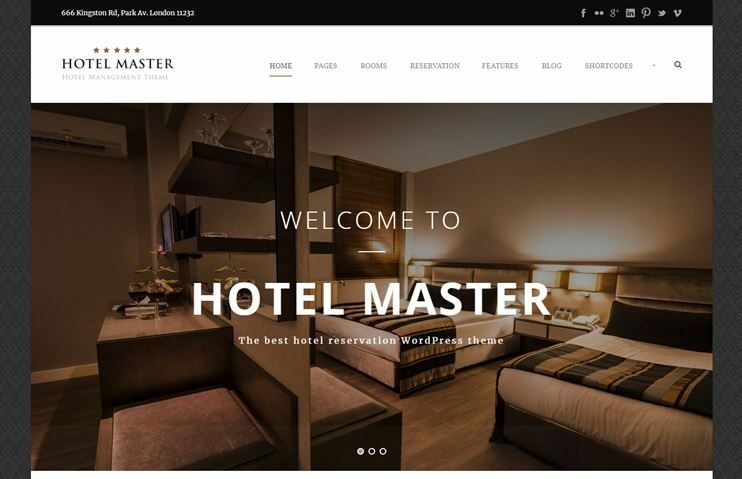 The hotel master is one of the best WordPress booking themes for Hotels, Hostels, Resorts, and Apartments. The theme supports multiple special features like iCal supported, Service charge mandatory, ability to block booking date for each room, providing discounts and many more. The theme includes booking system and smart payment gateways integration for swift payment processing. The theme is fully responsive and compatible with WooCommerce and WPML supported. HotelMotel is a stylish and fresh designed theme from cssigniter. 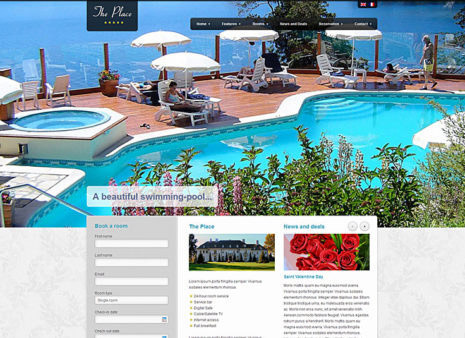 The theme lets you create a website for a hotel, spa, resort, vacation rentals, etc. HotelMotel is optimized for speed. It comes with a powerful booking form that allows the users to make reservations. You can use the powerful shortcodes and custom widgets to design your content. Choose the color scheme of your website. The homepage of the theme is totally customizable by readjusting the widgets. HotelMotel has many theme options to let you decide the settings for your website. HotelMotel is SEO optimized. Paradise cove is a WordPress hotel website with an appointment booking facility. It comes with abundant shortcodes, page layouts and reservation module built in. The theme comes with 3 slider options to choose from. It also has a weather widget to show the weather of the location. You can use the pre-built page layouts for your website. The features of the theme can be easily used by custom post types. Use the admin panel options for customizations. For more customizations, the theme has a number of shortcodes. The theme comes with built in SEO options too. 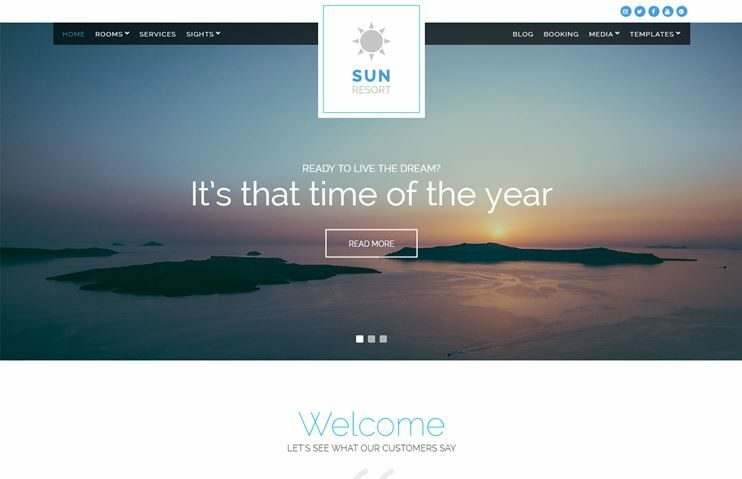 Sun resort is a Hotel WordPress theme. With this theme you can create a website to showcase your hotel and its features along with booking facility. The theme comes with a booking request form. The theme is easily customizable and you can create a beautiful hotel website effortlessly. The homepage of the theme can be all managed by drag and drop options. With the intuitive theme options, you can make settings for your website. You can choose from the multiple color schemes for your website. You can use the custom widgets available with the theme in widget areas to organize the content. Sun resort is speed and SEO optimized. Royal Gold is a theme for creating a hotel, spa, resort, restaurants, etc. It can also be utilized to create any kind of website that requires reservation facilities. This theme supports the easy reservation WordPress plugin to let you integrate the reservation features into your website. It comes with options to let you flaunt your images with a full screen gallery. The theme is optimized for speed and utility. This theme comes with shortcodes to create the page designs. With this theme you also get some pre designed page templates. It includes panoramic viewer for viewing images at 360°. 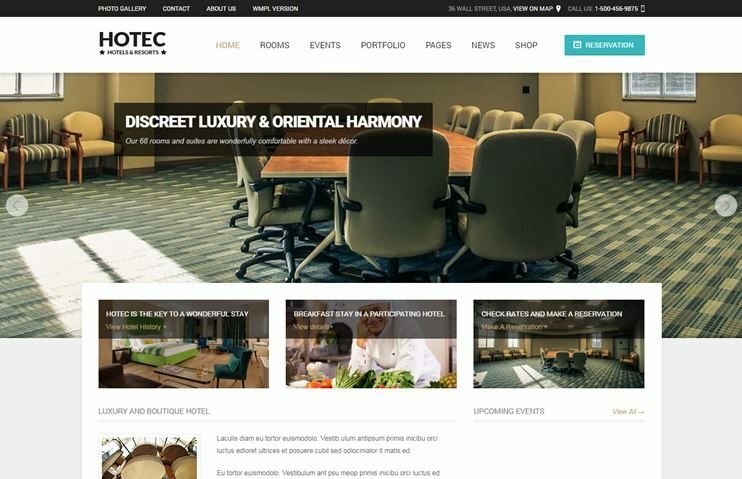 Hotec is a hotel website that can also be used for a beauty/spa and resort. Hotec has 4 home page demos to choose from. The theme has a jQuery based gallery and portfolios. With the st page builder, we can create pages with drag and drop page builder. For easy translation, it also comes with st translator. The theme comes with an ajax reservation as well as a contact form. There are 10 predefined color schemes to choose from. The theme provides compatibility for the events calendar plugin. For ecommerce features, the theme is compatible with the WooCommerce plugin. With Advanced theme options, you can change how the theme looks and behaves. 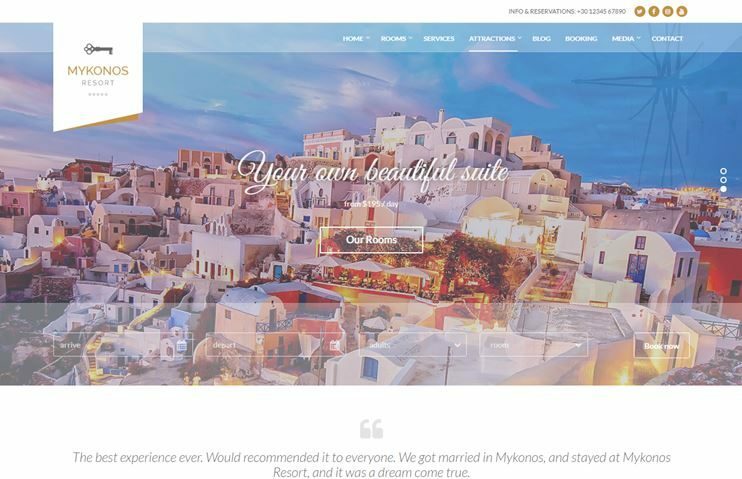 Aegean Resort is a beautiful WordPress theme for creating hotel website. The theme is responsive and has all the options for customizing the theme. It comes with a predesigned booking request form. You have special post types for submitting your content on the website. It has a weather widget to show you the current weather. 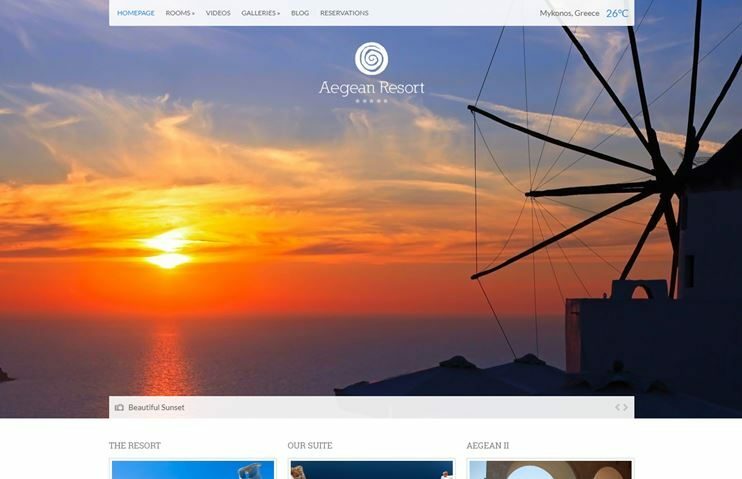 With Aegean resort, you get the theme options using which you can make the changes in the website very easily. The theme has widgetized pages to let you change page layouts. Aegean Resort is optimized for speed. It is SEO optimized too. 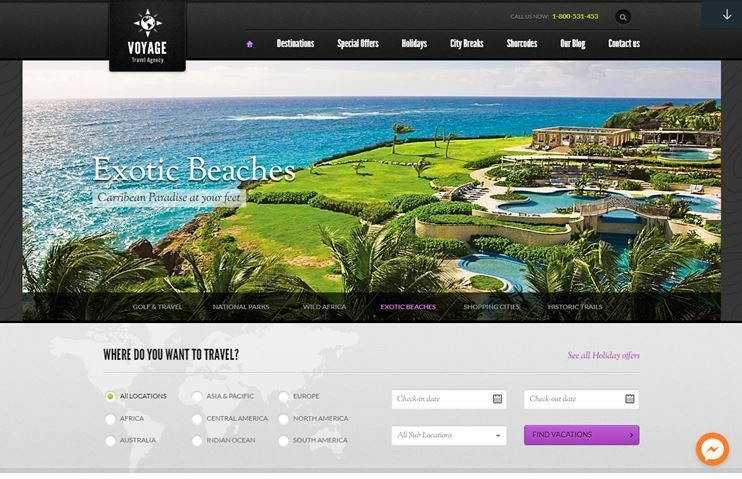 Voyage is a Travel WordPress theme that is aimed at creating a website for vacation venues and booking. It has a beautiful design, flexible features and is very easy to use. Voyage comes with a lots of travel specific features. You can add the attractions, venues, maps, etc. With the comprehensive admin panel, you can change the theme behaviour very easily. Many pre designed page layouts come with this theme. You also have a HTML 5 animated slider. With this theme, you have a lots of shortcodes and to use. The theme is SEO ready. 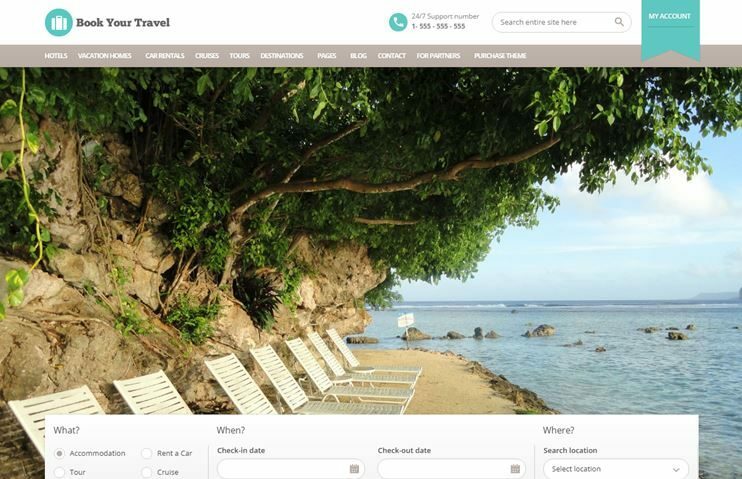 Book your travel is a booking theme for creating hotel websites. As the name implies, the theme is designed for booking purpose. It offers much more than an ordinary hotel booking theme. The theme takes care of accommodations, tours, cruises, and even car rentals. You can choose from the options for the color schemes. The theme has an availability checker. You can display daily, monthly and weekly rents. Also set seasonal pricing for your rooms. With this theme you have a customizable inquiry as well as booking form. It has a full functional reservation booking system. The theme comes with PayPal integrated and cash on delivery options. It is also compatible with WooCommerce plugin. The theme also has 10 custom widgets. It is SEO optimized too. The theme comes with RTL support. The Place is a simple but purpose oriented Hotel booking WordPress theme. The theme can be used to create a website for hotels, guest houses, inn, motels. The theme's colors can be changed using the color picker. Even the backgrounds and headers can be customized to suit your branding. The theme has a simple booking system that is designed to work efficiently. If you do not wish to use it, you can easily disable it from the theme's options panel. You can disable the option and create a hotel website that advertises your hotel's services and infrastructure. This is a simple theme to create a hotel booking website conveniently without ever needing to touch the code. The Entrepreneur is a small business theme with online booking features. The theme can be used for small business owners like fashion designers, doctors, consultants and many more. The theme comes with a clean and SEO optimized code for better performance. It includes multiple homepage designs and fully compatible with premium plugins such as WooCommerce and WPML plugins. Spa Treats is a Spa and restaurant theme that allows you to create a website for a spa/salon or a restaurant or hotel. The theme comes with two demo versions. One for the Spa and the other for Restaurant. It comes with a perfectly validated book now form. The admin panel of the theme has easy options to change the theme behaviour and look. It also has some feature oriented custom widget. To display the business features, you can use the portfolio and gallery options. The theme slider can be managed using the slider manager. The theme also has some useful shortcodes for content styling. 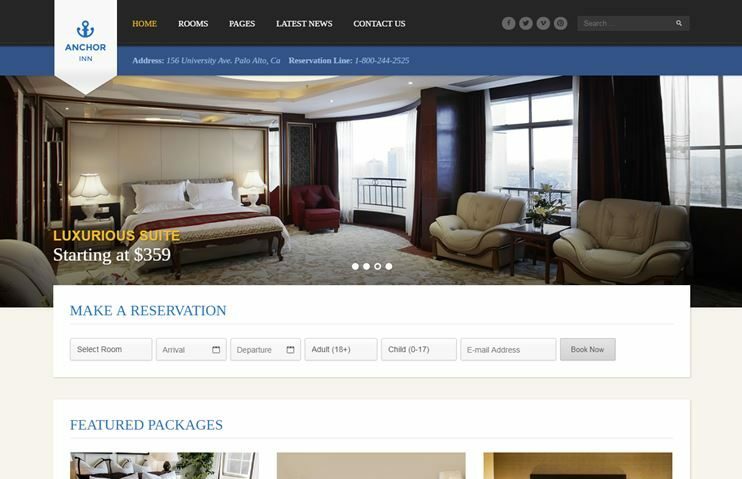 Philoxenia is an hotel booking WordPress theme from cssigniter. 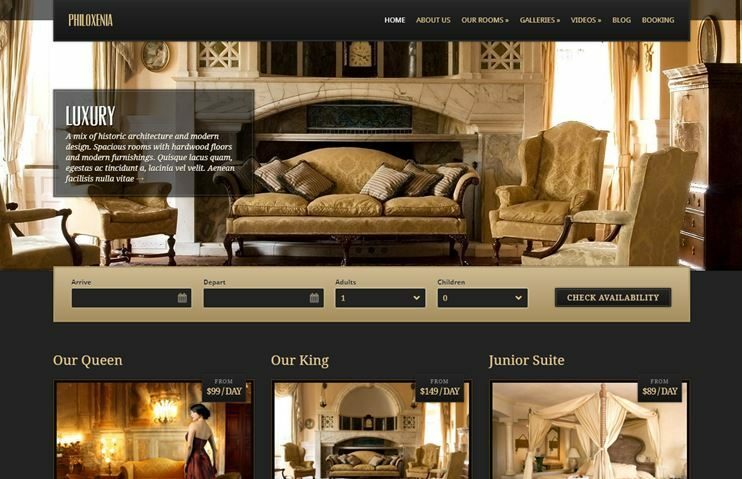 You can create any hospitality business related website using this theme. Along with displaying the hotel features, you can also allow booking requests for rooms. The theme comes with a pre designed booking request form. The homepage of Philoxenia is completely widgetized, so change it to create the layout of your choice. The theme has multiple custom widgets. There are custom post types for rooms, galleries, videos and sliders. With the available theme options, you can easily customize the theme. Philoxenia is optimized for speed and is SEO ready. 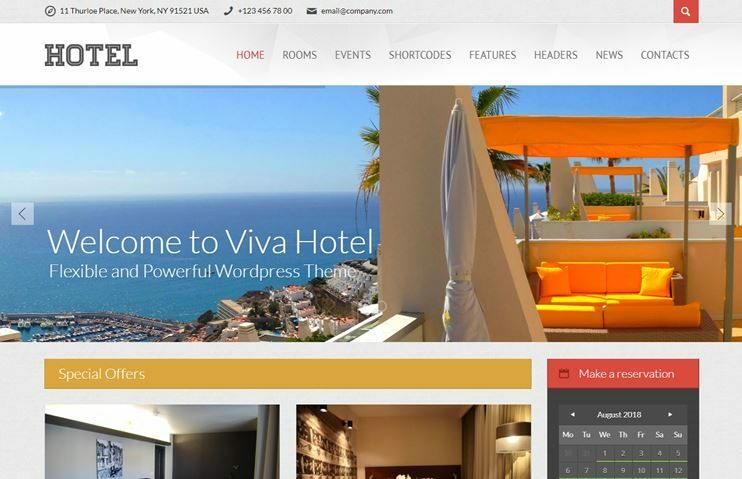 Viva hotel is a premium hotel booking WordPress theme for easily creating your website. It is flexible, feature rich and easy to use theme. With the Advanced theme options, you can customize the theme easily. The theme comes with advanced reservation form for letting the user enter their reservation requirements. The theme integrates with Events calendar to let you add and manage events. There are multiple shortcodes and custom widgets you can use with the theme. In your content you can also embed youtube, Vimeo, or self hosted videos. With the powerful admin panel, you can make the theme work the way you want. 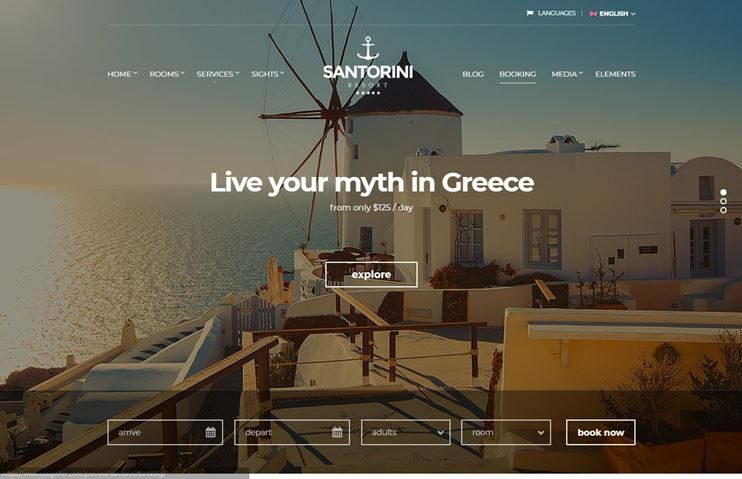 Santorini resort is a beautiful and responsive hotel WordPress theme. The theme aims to let you display the features of your hotel, motel, resort, etc. It comes with a predesigned booking request form. There are special post types that you can use specifically for the purpose. The homepage is all composed of the widget areas. So, you can readjust the widgets and create the homepage layout of your choice. There are custom widgets available with the theme. For each room you can add image gallery and services. With the advanced admin panel of the theme, you can easily change the settings for your theme. Santorini resort is speed optimized. The theme is SEO optimized too. National hotel is one of the best hotel booking WordPress themes. It has all the features you might require to create a booking website for hotels, spas, resorts, guest house, etc. The theme comes with the built in booking system. It also includes a user friendly reservation form. With the booking system you can manage the booking requests and create booking calendars. PayPal is integrated for accepting payments. National hotel comes with pre designed page templates and custom widgets. You can choose from the color options the theme offers. It also supports google maps. The theme is SEO optimized and supports child theme. 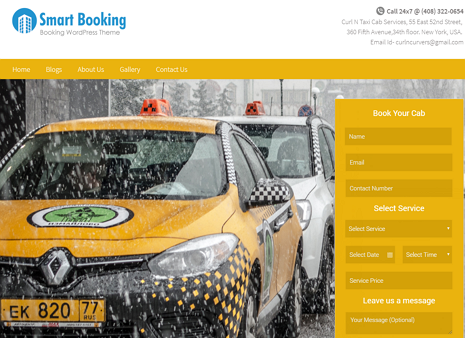 Smartbooking is a multipurpose online appointment booking WordPress theme. 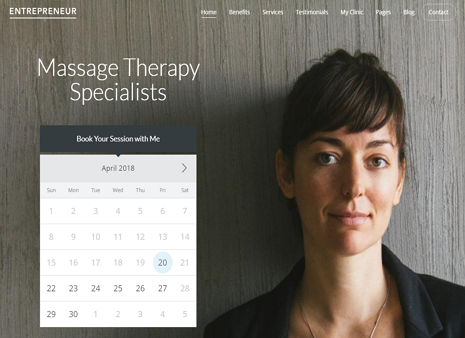 You can use this theme to create websites to book events, actions, services and order of meetings with clients, customers, shoppers, applicants, patients, and walk-ins. The theme includes a fully functional appointment booking functionality and comes with integrated online payment processing system. This theme is SEO optimized. The theme is responsive and compatible with WooCommerce and WPML plugin. 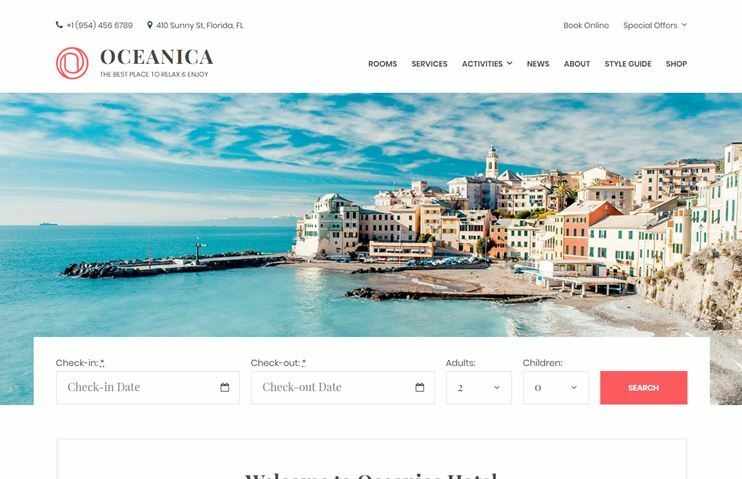 Oceania is an online hotel booking WordPress theme. This theme is clean and easy to use and easily customizable. This theme is very simple lightweight design with an accommodation booking option for your hospitality business. The theme is responsive and retina ready and SEO optimized to improve website ranking. The theme includes online booking system and facility to accept online/offline payments. It also includes a discount coupon module. The theme supports multiple payment options such as Bank Transfer, Paypal Express, Stripe, 2Checkout, Payu in many countries around the world. 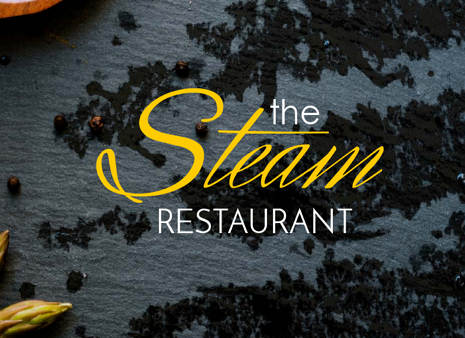 Steam is a responsive WordPress theme used for restaurants,pubs and cafes.The theme comes with ultimate features like fully responsive, multiple homepages, Youtube video support, 600+ Google fonts, color customizer and tons of other features.The theme is clean and well optimized for speed and performance. The theme comes with admin reservations interface with own reservation management engine. It has many beautiful features like one click reservation email confirmation to user who makes a booking on the site. 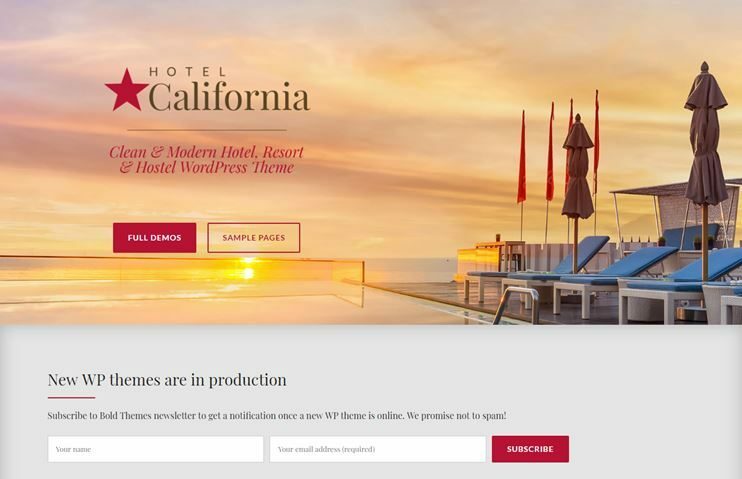 Hotel California is a WordPress Booking Theme designed for hotel, hostel, private accommodation, bed and breakfast or resort websites. The theme is fully Responsive, Retina Ready and Easy to customize as no additional coding is required. 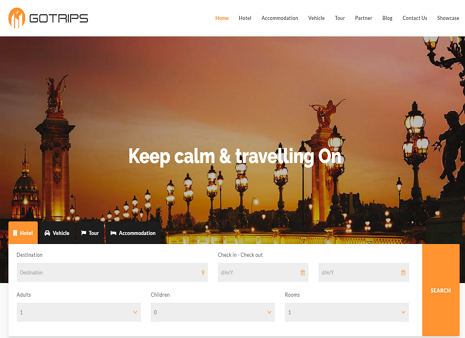 This booking theme is compatible with WooCommerce plugin to create an online store and WPML for multilanguage translation. You can use the Bold Page Builder to create page designs you want. It includes multiple Header layouts including sticky header and shortcodes tailored to showcase information on hotel, hostel, private accommodation, bed and breakfast or resort. These were the hand-picked themes that you can use to create your hotel website in 2018. We hope that this list of best booking themes help you find your ideal booking engine. So pick up your favorite and get started with your online hotel booking website instantly. Let us know your reviews and opinions by commenting! 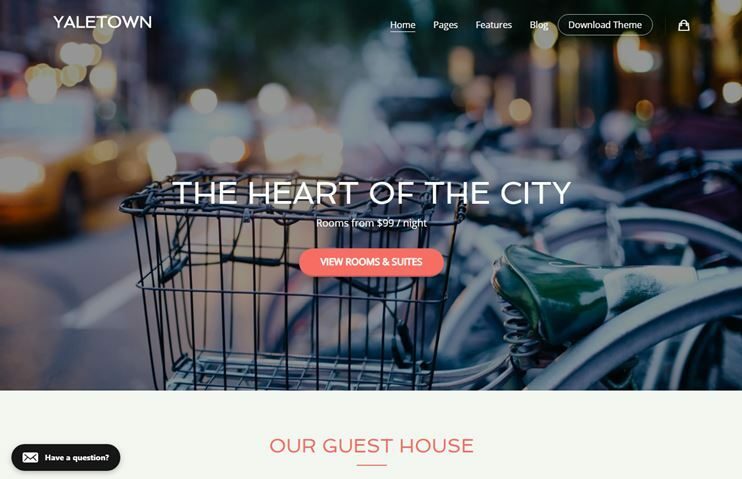 A fabulous collection of hotel WordPress themes. My favorite hotel booking WordPress theme is Restinn- A Booking One Page Theme For Resort Hotel. Bellevue Hotel is a good one. And Villagio. These are actually 2 really best themes for a rental property booking website (if we think about performance and flexibility of the booking system).